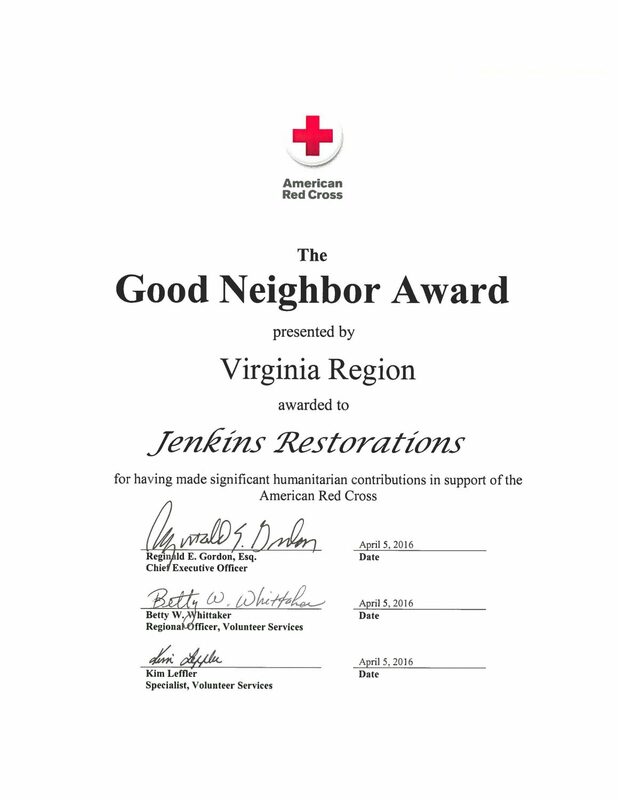 Jenkins Restorations has been awarded the Good Neighbor Award presented by American Red Cross Virginia region. This award is given to the companies for having made significant humanitarian contributions in support of the American Red Cross. View the award below.